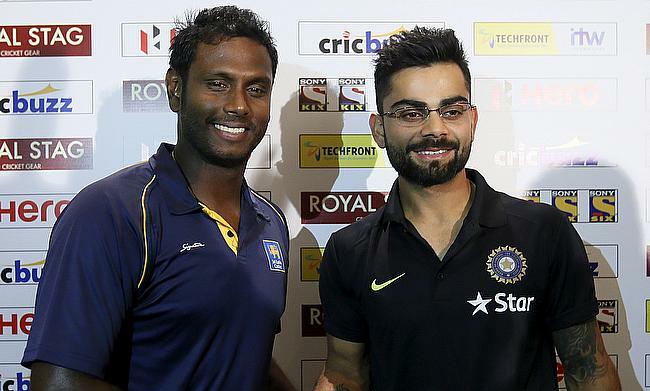 India head to Sri Lanka to play three tests in August with the home side preparing to say farewell to Kumar Sangakkara, who retires following the second Test. 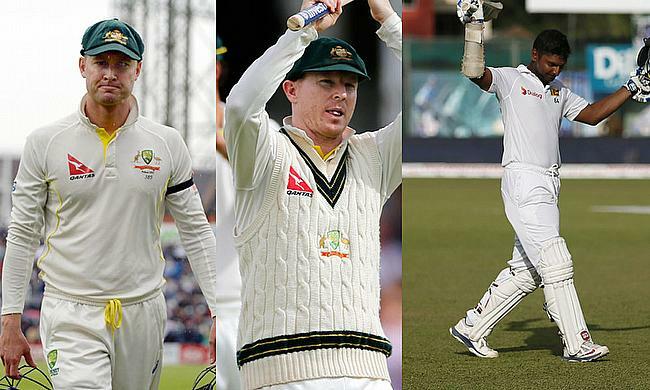 As two players are banned, two more are fined and one is reported for a suspected illlegal bowling action, our latest cricket news video calls the Sri Lanka-India series one which has caused a bit of a hangover. 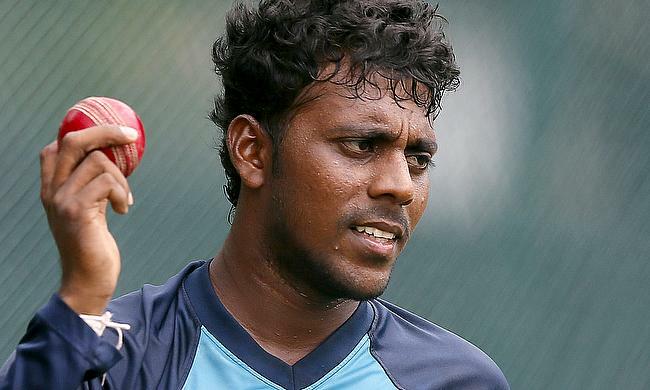 Sri Lankan off-spinner Tharindu Kaushal has been reported for bowling with a suspected illegal action on Wednesday following his team's third Test against India in Colombo. 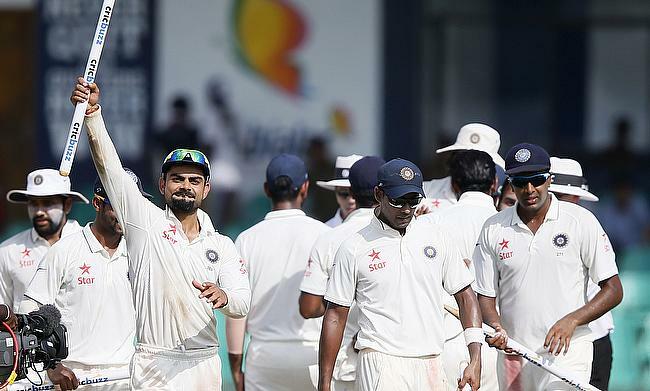 India have gained three rating points in the International Cricket Council Test rankings after they came back from behind to win the three-match Test series against Sri Lanka. 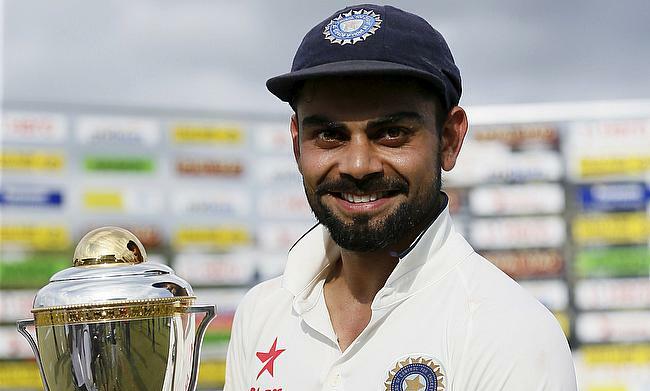 Indian Test captain Virat Kohli termed his team's 2-1 win over Sri Lanka in the recently concluded three-match series as a "magnificent milestone". 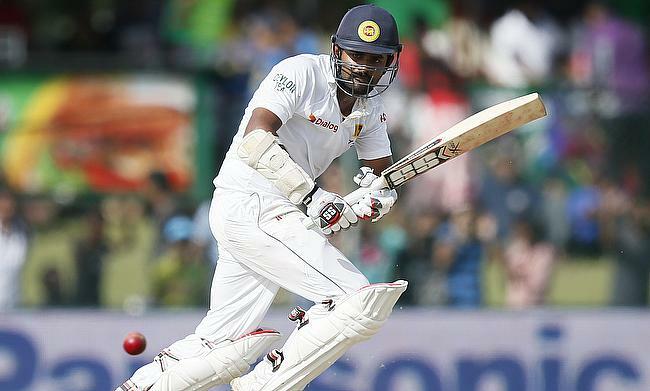 Dinesh Chandimal and Ishant Sharma have been banned while Dhammika Prasad and Lahiru Thirimanne fined by the ICC following incidents during the third and final Test between India and Sri Lanka in Colombo. 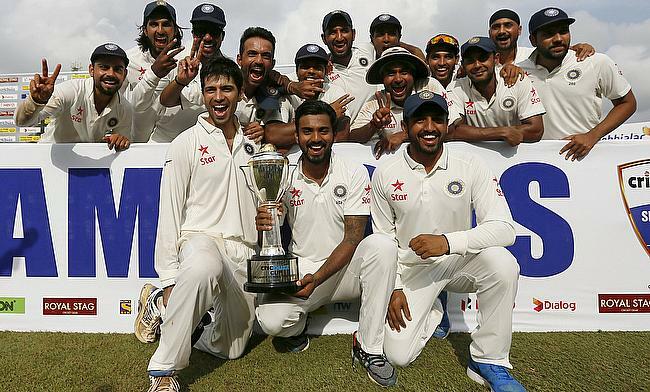 India have beaten Sri Lanka in a Test series away from home for the first time since 1993 and our latest cricket news video brings you up to date with how they did it in Colombo. 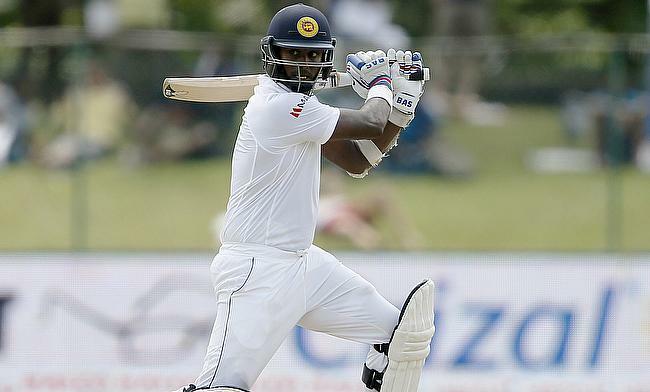 Angelo Mathews' fighting ton went in vain as India won the third and final Test against Sri Lanka in Colombo by 117 runs to win the series 2-1, their first overseas series win since 2011. 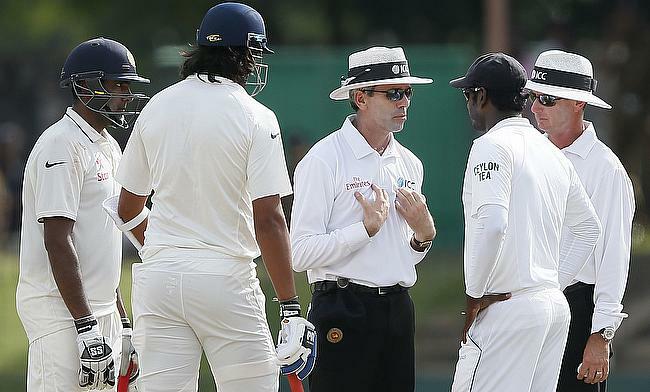 The International Cricket Council has charged Indian fast bowler Ishant Sharma and Sri Lankan cricketers Dhammika Prasad, Lahiru Thirimanne and Dinesh Chandimal after heated exchanges took place on the fourth day of the third Test in Colombo. 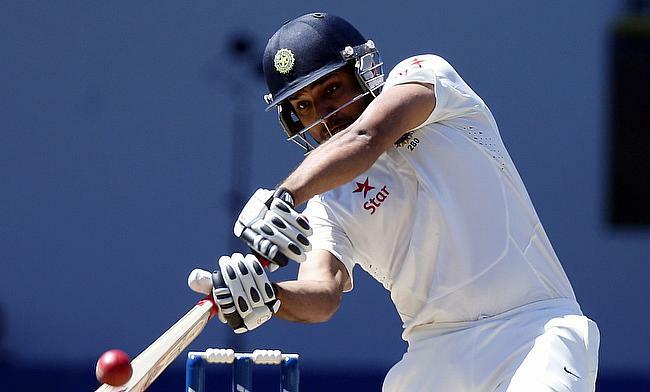 India’s middle-order batsman Rohit Sharma has maintained that he will not curb his favourite pull stroke despite falling prey to the shot on the fourth day of the third Test against Sri Lanka in Colombo on Monday. 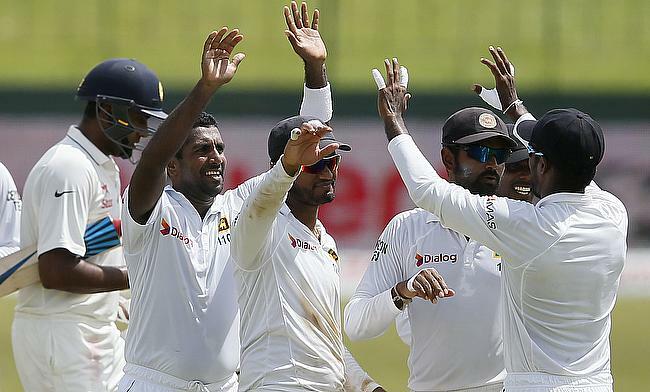 Ugly tiffs and some intense cricket filled day four of the final Test at SSC Colombo, as India set Sri Lanka a target of 386 runs for the fourth innings and moved into a good position to claim a rare series win away from home. 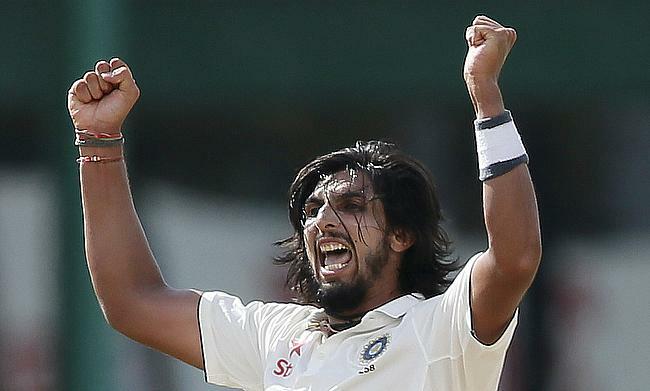 Indian pace bowler Ishant Sharma revealed that he is enjoying bowling with the new ball on a green wicket in the third Test against Sri Lanka in Colombo. 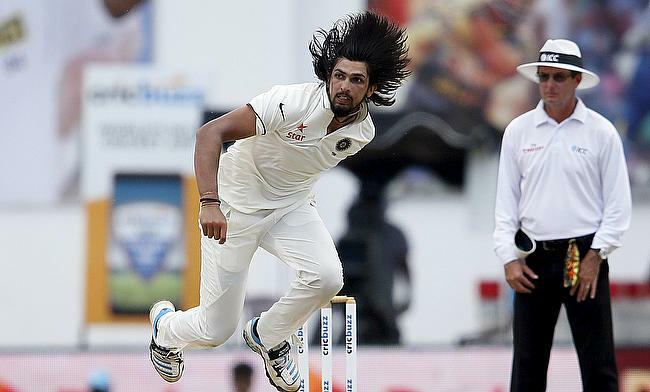 Ishant Sharma took five wickets and India built their lead to 132 in second innings losing three quick wickets when rain stopped play on day three of the final Test in Colombo with 15 wickets falling to open the game up. 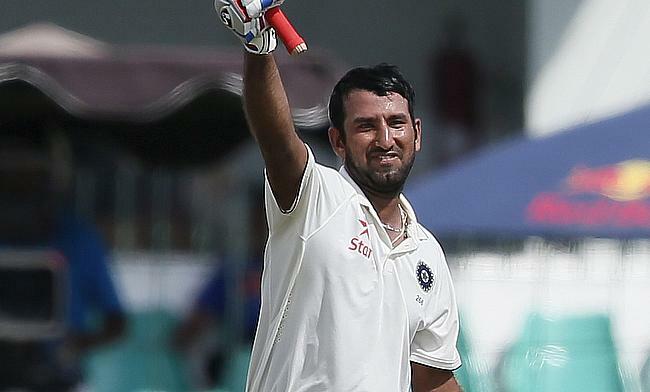 Indian batsman, Cheteshwar Pujara, revealed that Rahul Dravid's reassurance helped him gain confidence ahead of the tour to Sri Lanka. 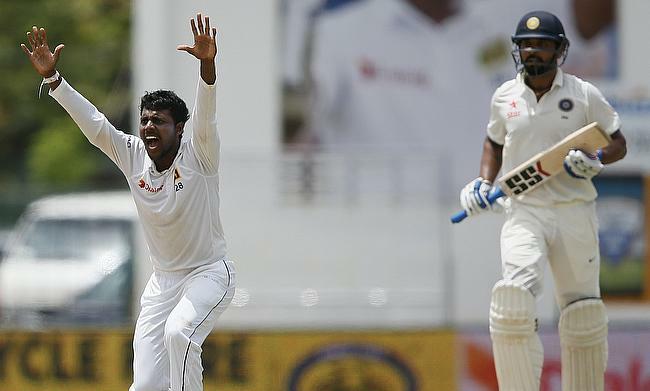 Sri Lankan pacer Dhammika Prasad exuded confidence on his side's chances despite a rearguard action by India’s batsmen on day two of the third Test in Colombo on Saturday. 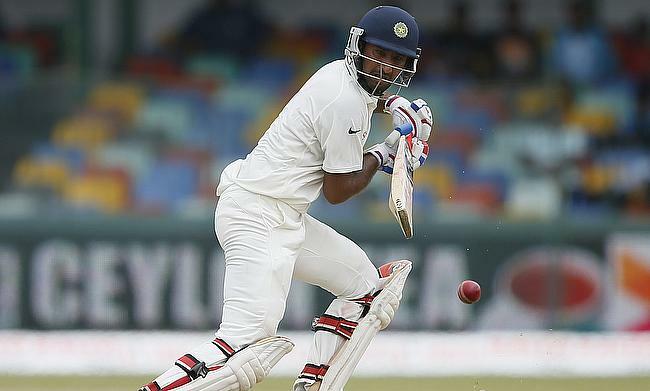 Cheteshwar Pujara scored a resilient unbeaten century to hold fort on a tough day of cricket as India reached 292 for eight when rain ended play on day two of the third and final Test against Sri Lanka in Colombo. 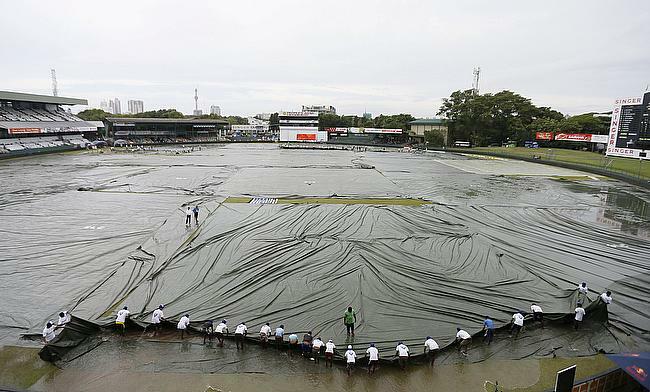 Only 15 overs were possible on day one of the third and final Test between India and Sri Lanka in Colombo as persistent rain made play impossible once it was interrupted. 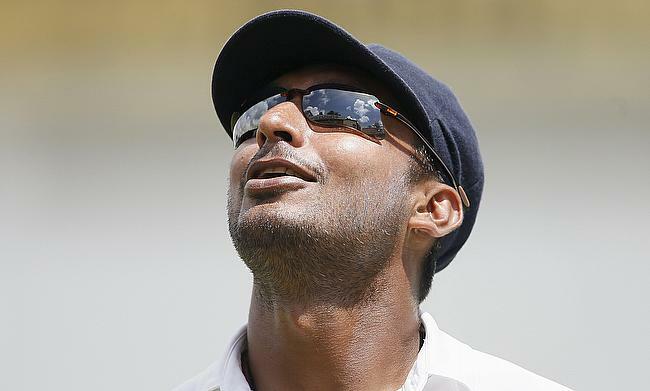 Former Indian off-spinner Erapalli Prasanna has urged Ravichandran Ashwin to be more proactive by setting his own fields in Test cricket. 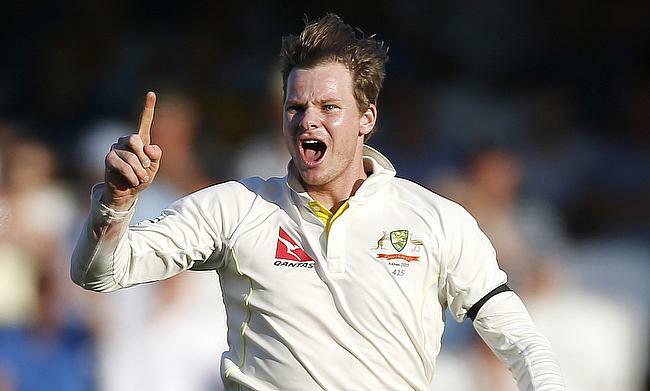 Australia's new Test captain Steven Smith has returned to the top of the Test batting rankings in the latest list published by the International Cricket Council. 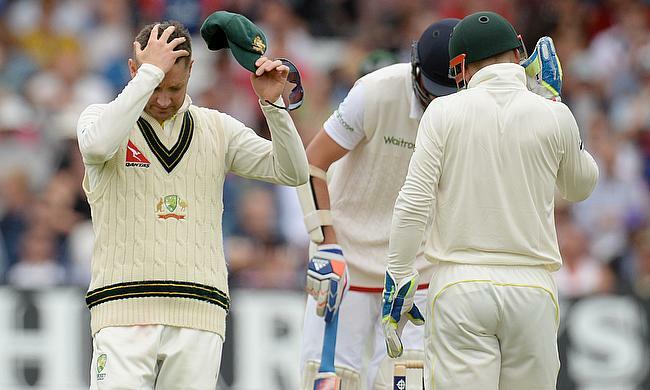 In our latest cricket news round-up video we reflect on an emotional few days for the sport with the retirements of Michael Clarke, Chris Rogers and Kumar Sangakkara dominating the headlines. 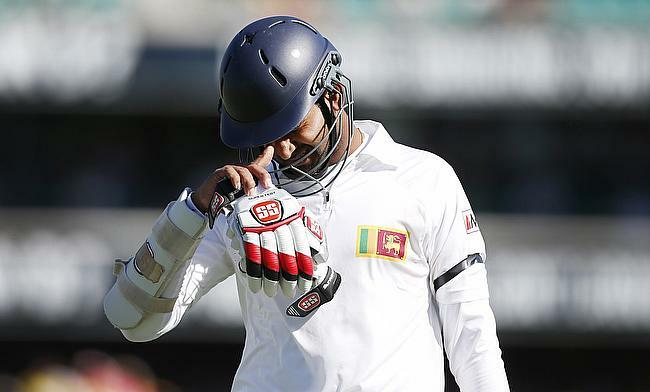 The Chief Executive of the International Cricket Council, Dave Richardson, showered rich praise on former Sri Lankan captain Kumar Sangakkara following his retirement from the game. 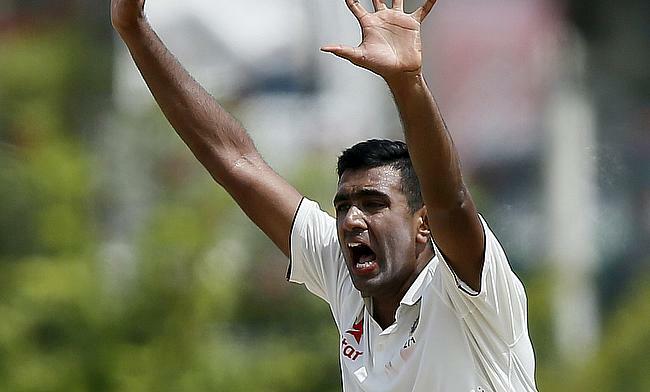 Ravichandran Ashwin took a five-wicket haul as India needed just 43.4 overs to wrap Sri Lanka up and win the second Test at the P Sara Oval stadium in Colombo on day five by a massive 278 runs and level the series. 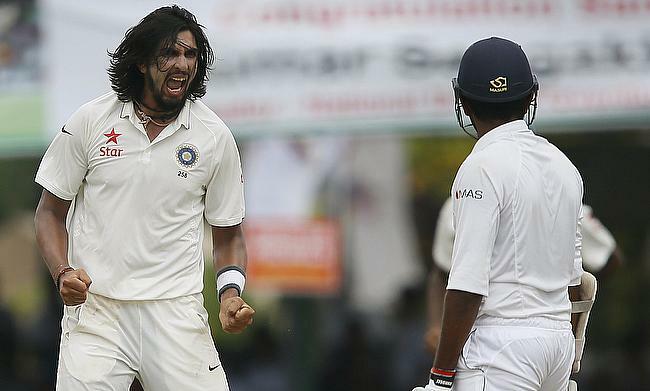 Indian fast bowler Ishant Sharma has been fined 65 per cent of his match fee for giving aggressive send-offs to Lahiru Thirimanne and Dinesh Chandimal in the second Test against Sri Lanka in Colombo. 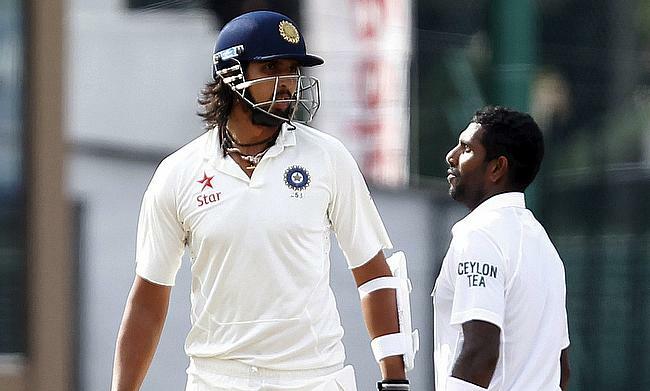 Indian cricketers Murali Vijay and Wriddhiman Saha have both been ruled out of the remainder of the ongoing tour of Sri Lanka with hamstring injuries. 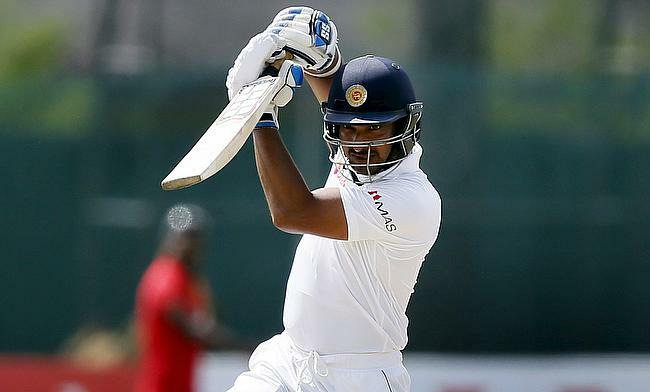 Ajinkya Rahane scored a century to help India stretch their lead to 412 and declare before taking two Sri Lankan wickets, including that of Kumar Sangakkara by stumps on day four of the second Test in Colombo. 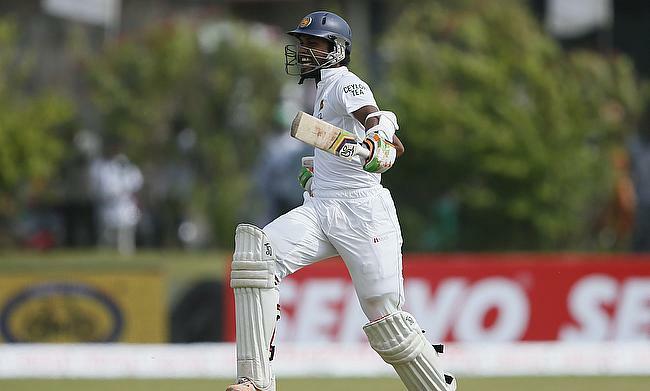 Sri Lankan batsman, Lahiru Thirimanne, was docked 30 percent of his match fee for showing dissent at the umpire's decision on the third day of the second Test against India in Colombo. 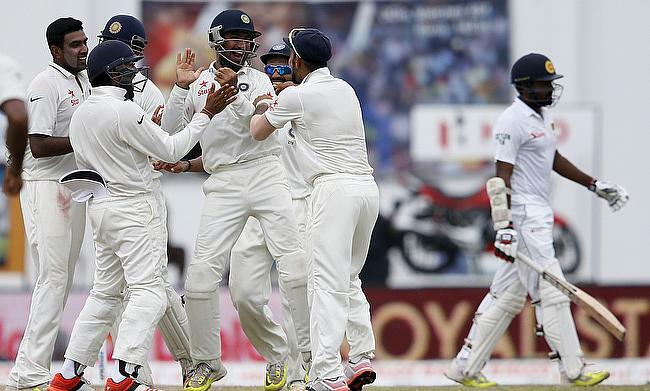 Amit Mishra took four wickets as Sri Lanka collapsed from a position of strength to concede a first innings lead of 87 which India extended to 157 runs by stumps on day three of the second Test in Colombo. 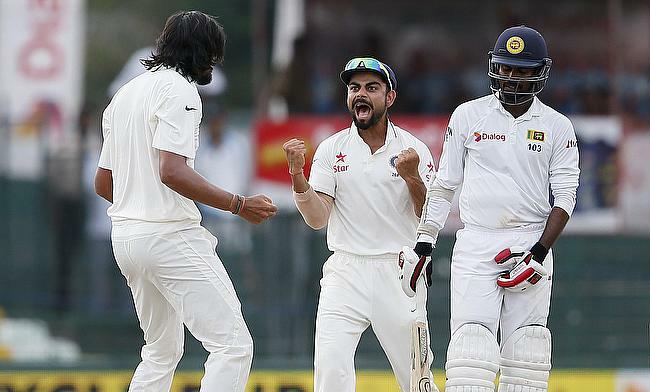 India's bowlers came up with impeccable lines and lengths to keep Sri Lanka to 140 for three at stumps on day two of the second Test in Colombo after India's tail took them to 393 earlier in the day. 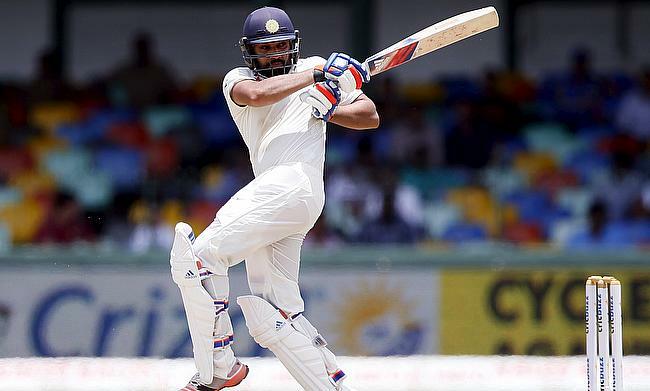 Rohit Sharma fell on the stroke of stumps on day one of the second Test in Colombo handing a hard-fought day to Sri Lanka, as India ended on 319 for six buoyed by a century from Lokesh Rahul. 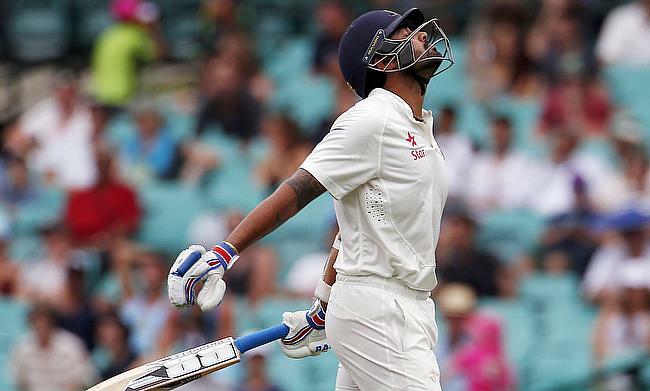 Indian Test captain Virat Kohli is confident about Murali Vijay's chances of partnering Lokesh Rahul at the top of the order in the second Test against Sri Lanka in Colombo. 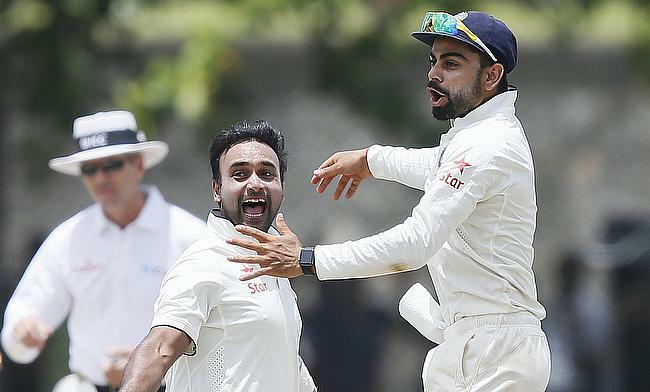 Leg-spinner Amit Mishra has stated that the mood in the Indian camp is still upbeat despite the shocking 63-run defeat to Sri Lanka in the first Test at Galle last week. 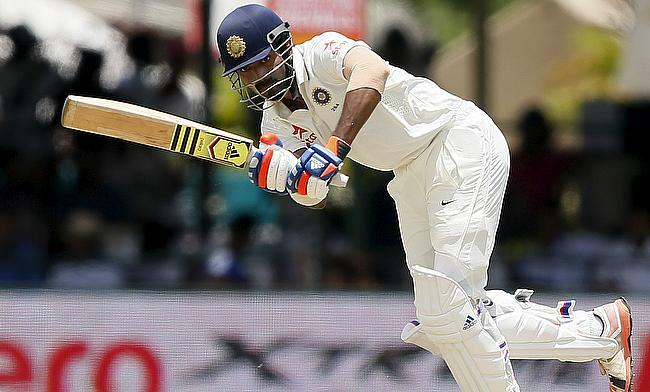 Indian opening batsman Shikhar Dhawan, who suffered a hand injury while fielding in the first innings of the first Test against Sri Lanka in Galle, has been ruled out of the remainder of the series. 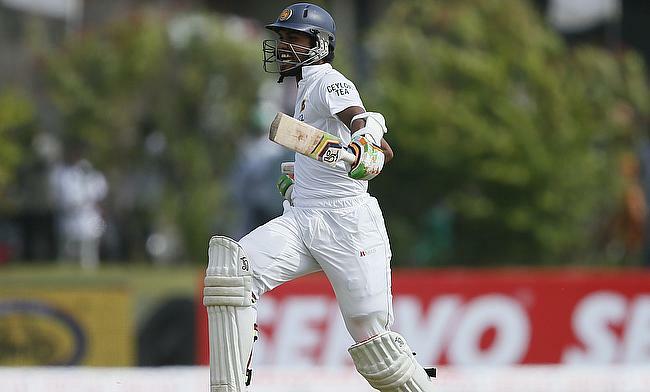 Dinesh Chandimal has been named as the Cricket World Player of the Week for a brilliant counter-attacking innings that pulled Sri Lanka out of the jaws of defeat and instead helped them pull off a wonder victory. 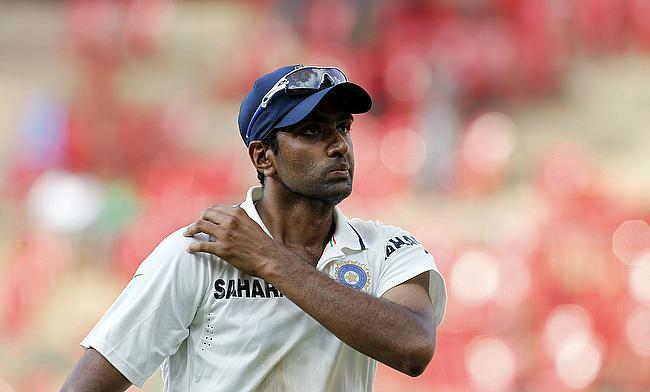 Indian off-spinner Ravichandran Ashwin has broken into the top 10 of the International Cricket Council Test bowlers rankings, following his 10-wicket haul in the first Test against Sri Lanka in Galle. 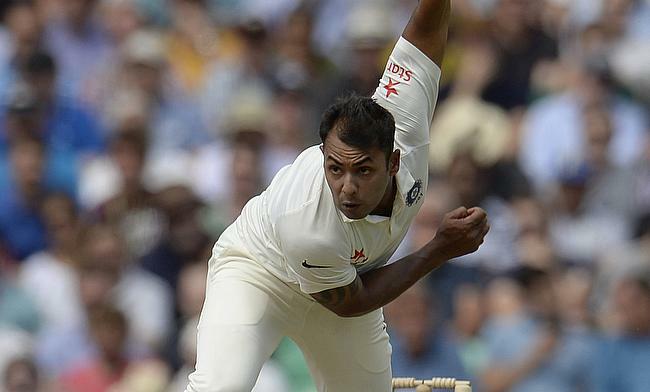 All-rounder Stuart Binny has been added to the Indian squad for the second Test against Sri Lanka, which will begin at the P Sara Oval stadium in Colombo on 20th August. 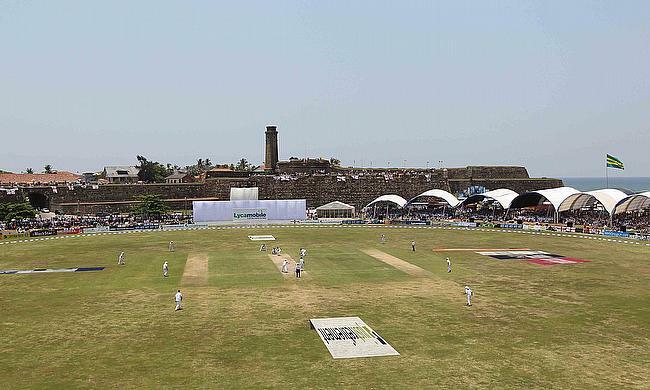 India’s Test captain Virat Kohli admitted that his side had frittered away a golden opportunity to win the match in Galle by producing a listless batting display. 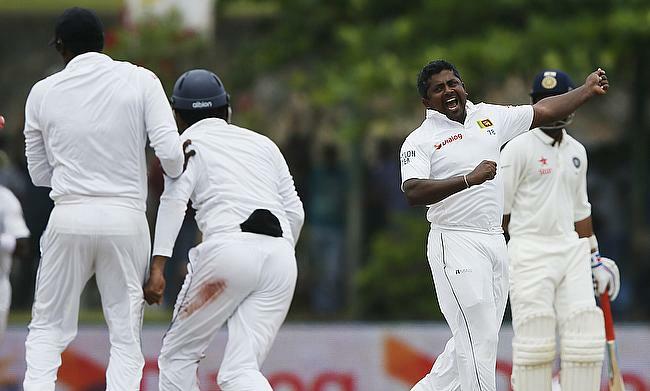 Rangana Herath picked up a seven-wicket haul to complete an amazing turnaround for Sri Lanka as India capitulated to 112 on day four to lose the first Test in Galle by 63 runs. 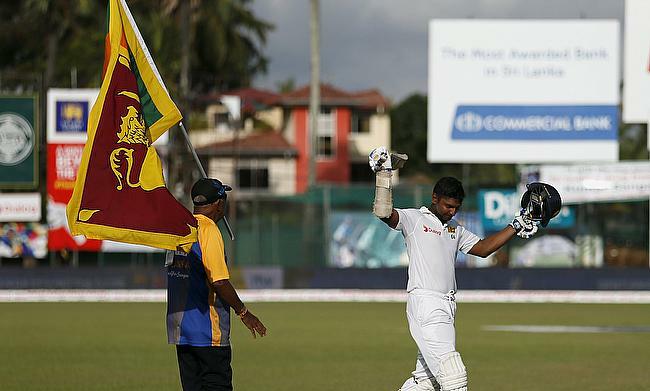 Dinesh Chandimal scored a fine unbeaten counter-attacking century to help Sri Lanka set visitors India, who need 153 more to win with nine wickets in hand at stumps on day three of the first Test in Galle, a tricky target. 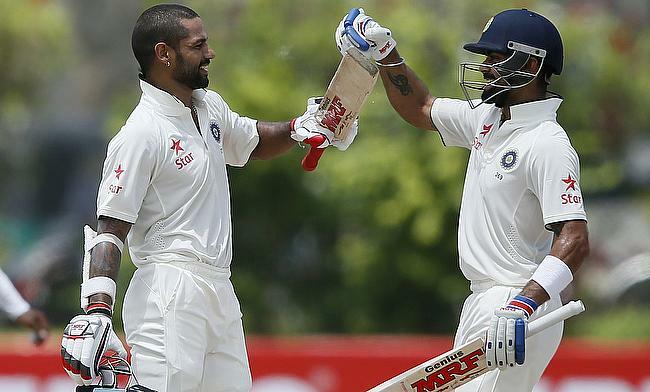 Centuries by Shikhar Dhawan and Virat Kohli helped India secure a first innings lead of 192 before their spinners struck to remove Sri Lanka's openers before stumps on day two of the first Test in Galle. 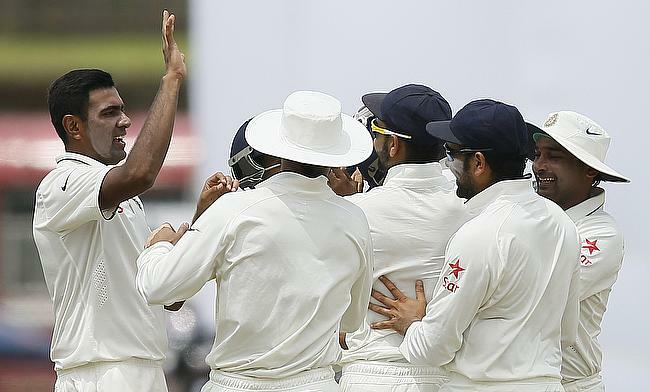 Ravichandran Ashwin registered the best figures by an Indian bowler in Sri Lanka as India won day one of the first Test in Galle by dismissing Sri Lanka for 183 and then reaching 128 for two at stumps. 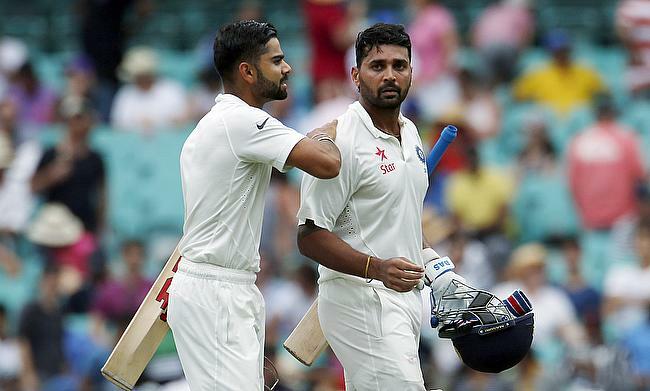 India's opening batsman Murali Vijay will not be taking part in his team's first Test against Sri Lanka beginning on Wednesday due to a hamstring injury. 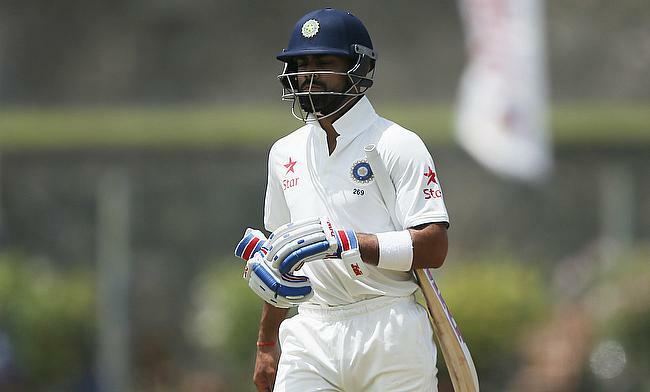 India's Test captain Virat Kohli is not reading too much into his team's performances away from home in the last 18 months as he looks forward to the three-match Test series against Sri Lanka. 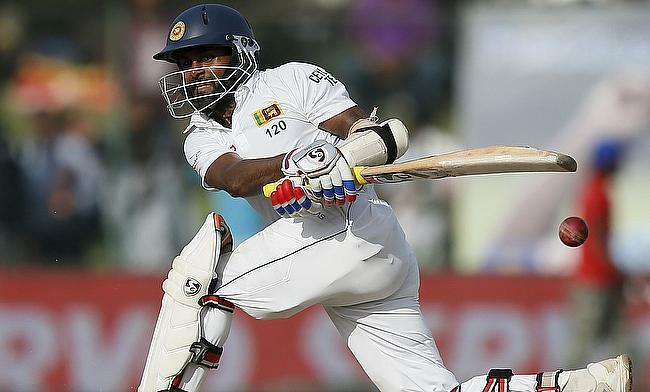 The Sri Lankan selectors have named a 16-member squad for the three-match Test series against India starting next week. 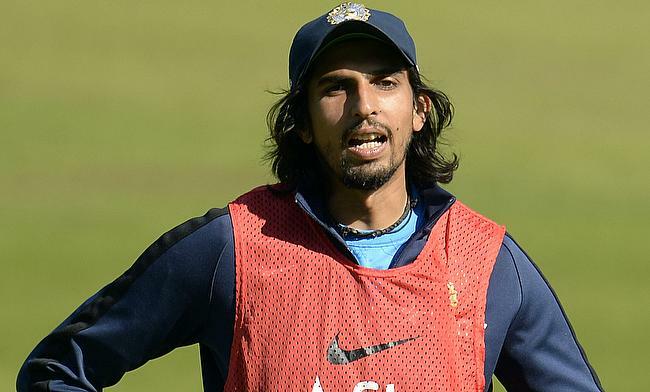 Indian pace spearhead Ishant Sharma revealed that he will be bowling his best to Kumar Sangakkara in the upcoming Test series against Sri Lanka, which begins on 12th August in Galle. 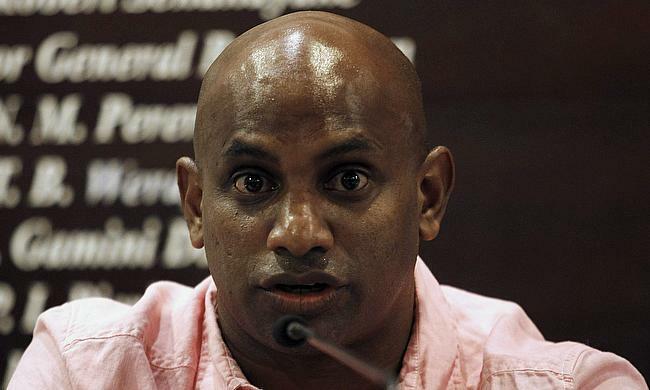 Former Sri Lanka captain Sanath Jayasuriya feels that the upcoming home series against India is very important for Sri Lankan cricket given that they are going through a transition phase. India's Test captain Virat Kohli has maintained that Rohit Sharma will be batting at the number three slot for the upcoming tour of Sri Lanka. 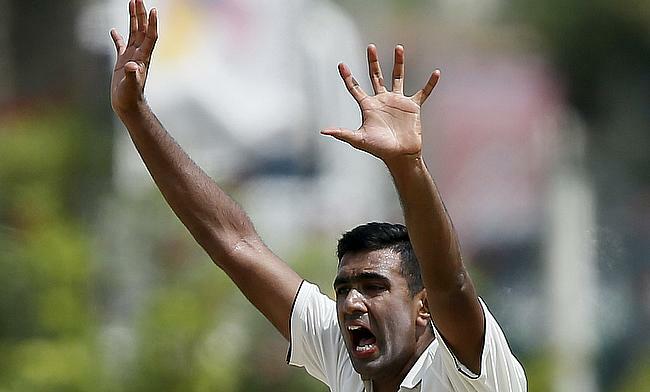 Indian off-spinner Ravichandran Ashwin is ready for his team's tour of Sri Lanka which kicks off later this month. 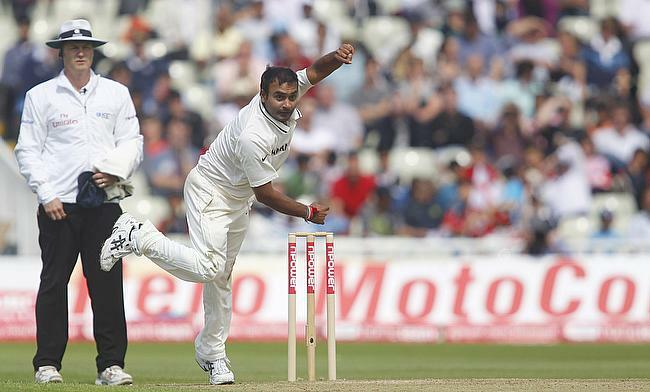 Leg-spinner Amit Mishra has earned a Test recall for India's upcoming tour of Sri Lanka which begins next month. 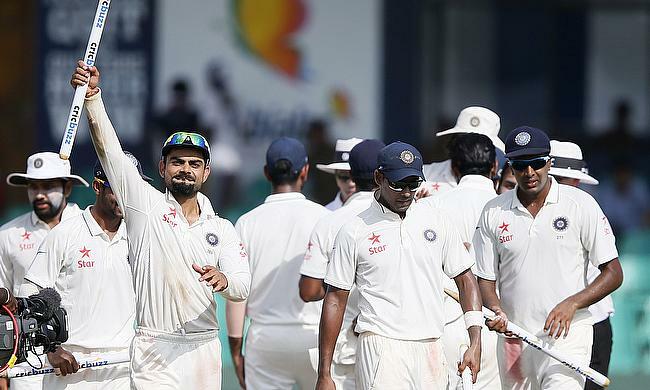 The Board of Control for Cricket in India has announced the schedule for India's tour of Sri Lanka, which will include a three match Test series to be played between 12th August and 1st September. 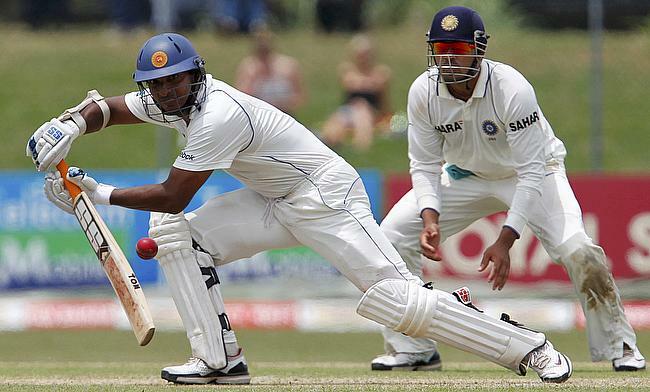 Legendary Sri Lankan cricketer Kumar Sangakkara on Saturday made a formal announcement that he will retire from international cricket after the second Test of the upcoming series against India.